Star Wars is many things to many people: The umpteenth retelling of Joseph Campbell’s monomyth set in space; a sci-fi flick influenced by Westerns, Flash Gordon serials and Kurosawa films; a silly bit of fluff; the greatest film of all time. Star Wars is all that and more. 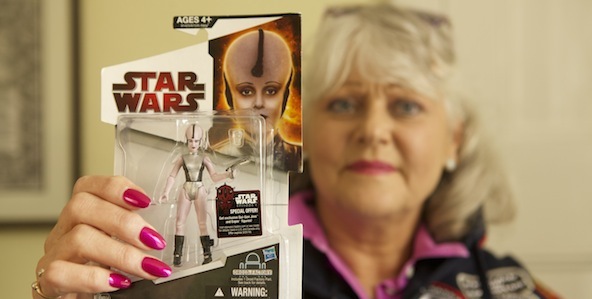 Love it, hate it or indifferent, the cultural impact of Star Wars cannot be underestimated. The 1977 film has spawned a multi-billion dollar global industry and changed popular culture forevermore. It has, as Steven D. Greydanus and Ashley C. Wyman wrote, become “the quintessential American mythology . . . and like the classical myths . . . has become a part of our cultural landscape.” Not bad for a film that the studio worried would be trampled at the box office by Smokey and the Bandit. Of course, the story of Star Wars was much different than the studio anticipated. When adjusted for inflation, Star Wars is the 3rd highest grossing movie of all time, right behind Gone With the Wind and Avatar. (Although how the latter – a stillborn tale of overgrown Smurfs traipsing around inside a video game – made so much money is a mystery akin to the Bermuda Triangle.) The 1977 film turned George Lucas into a mogul and launched the careers of then unknowns Mark Hamill, Carrie Fisher and Harrison Ford. But what about the bit players in the intergalactic saga? The sundry aliens, Stormtroopers and Rebel Alliance Pilots. Don’t they deserve to have their stories told too? 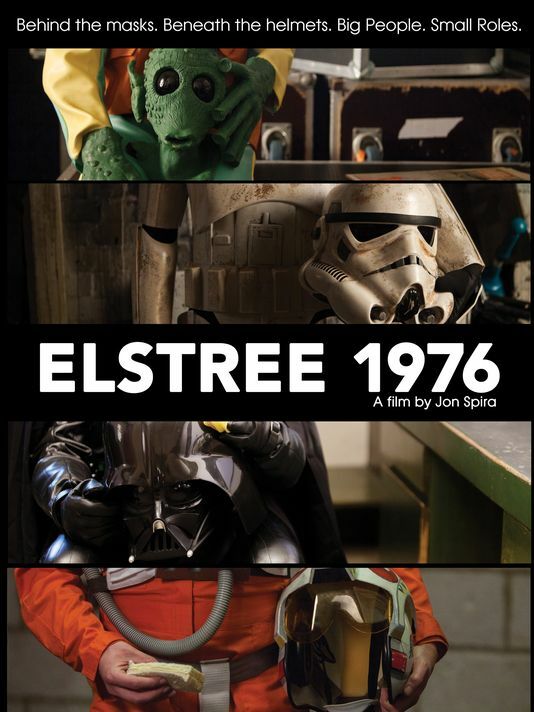 The documentary, ELSTREE 1976, aims to do just that, shining the spotlight on Star Wars players ranging from the very big (the 6’7” man in the Darth Vader suit, David Prowse) to the very small (Pam Rose, a model/dancer who had a non-speaking, uncredited role as an alien waitress in the iconic Cantina scene). But are their stories worth telling? In some senses yes; in others, no. Star Wars fanatics who dissect each and every piece of minutia from the seminal film will undoubtedly love hearing (and seeing clips) of The Fixer, a character played by Canadian actor Anthony Forrest, who was jettisoned out of the final cut but has since had an action figure made. (Forrest got lucky though. Although The Fixer was cut, he also portrayed the famous “These aren’t the droids you’re looking for. . . Move along,” Jedi-mind tricked Sandtrooper.) The regular viewer who doesn’t know his Jawa from his Jedi, on the other hand, may wonder why Derek Lyons, a career extra who had a brief, non-speaking role as a Temple Guard/Medal Bearer is any more compelling than the guy who comes to repair your cable. All featured actors recount how they were cast in the film, and each one sings the same song: They didn’t think it was going to be that big of a deal. But a big deal it was, and it’s their lives after Star Wars that provide the juiciest bits. 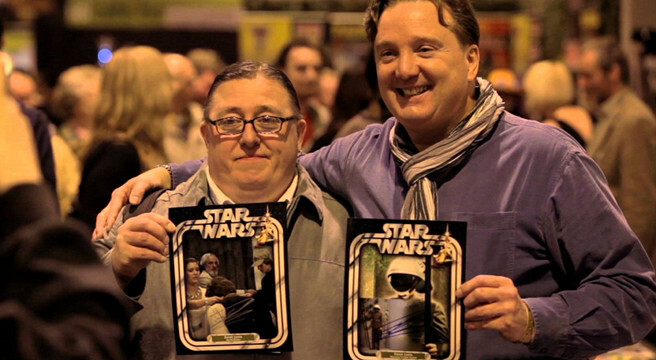 Some are eternally grateful for what Star Wars gave them (Paul Blake who played Greedo), some wish/resent that they could’ve done more in the film or afterwards (Angus MacInnes/Gold Rebel Leader, who comes across as a man with a chip on his shoulder), and some don’t seem to care one way or the other (Rose). Then there’s the lucrative convention circuit, and we learn that there’s a defined hierarchy at these things. The big guns, Prowse and Jeremy Bulloch (Boba Fett) command the longest lines and the highest signing prices, and the B and C list participants are sometimes treated like the kid at the playground at recess who nobody picks for their team. John Chapman, another uncredited pilot, cites that resentment as the reason why he no longer does conventions. Ultimately, for the converted, ELSTREE 1976 is an interesting chapter in Star Wars lore . Those who do not consider Luke Skywalker the greatest hero in the history of cinema, however, may find it a little tedious. But it’s worth watching, if only as a fascinating look at both fandom and the lives of those that we’re granted an invite to Hollywood’s grand buffet but only afforded one plate. This entry was posted in Documentaries and tagged 2010s movies by Really Awful Movies. Bookmark the permalink.